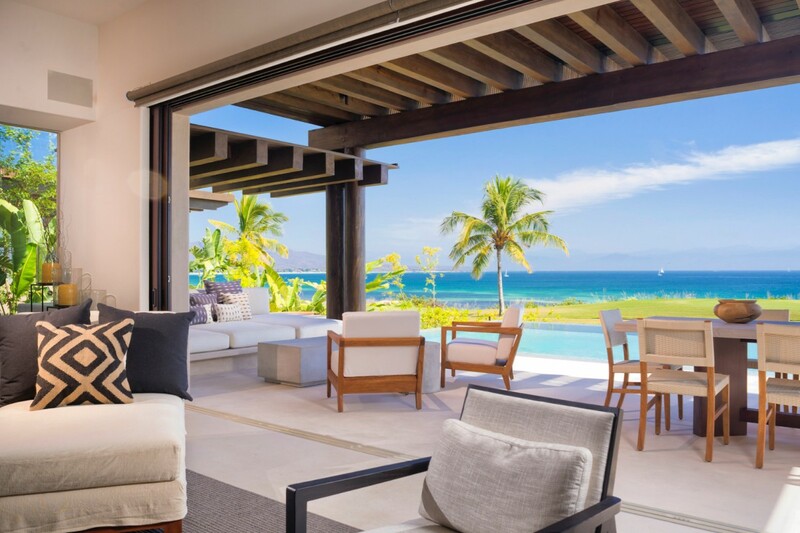 Villa Luna Punta Mita. 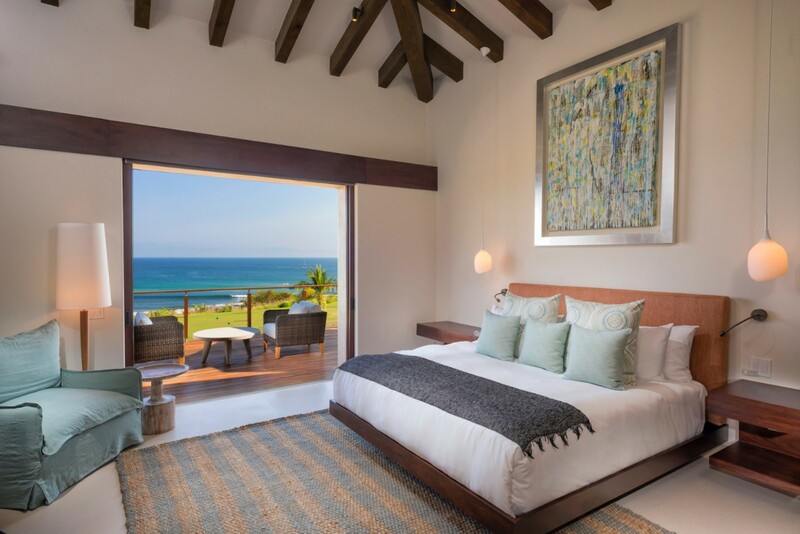 For those planning a family or group holiday to Punta Mita, the options for luxury accommodations are many. 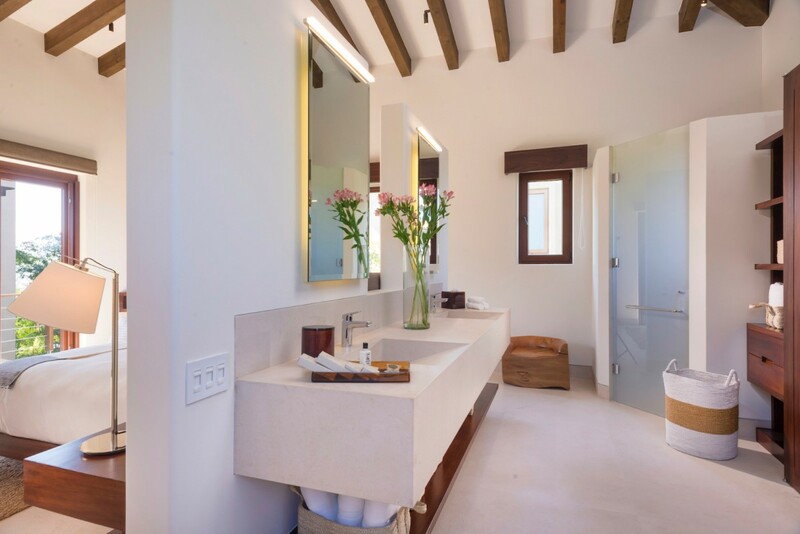 Yet, you might also prefer a bit more privacy than what is widely available, and that is what sets the stunning Villa Luna apart. 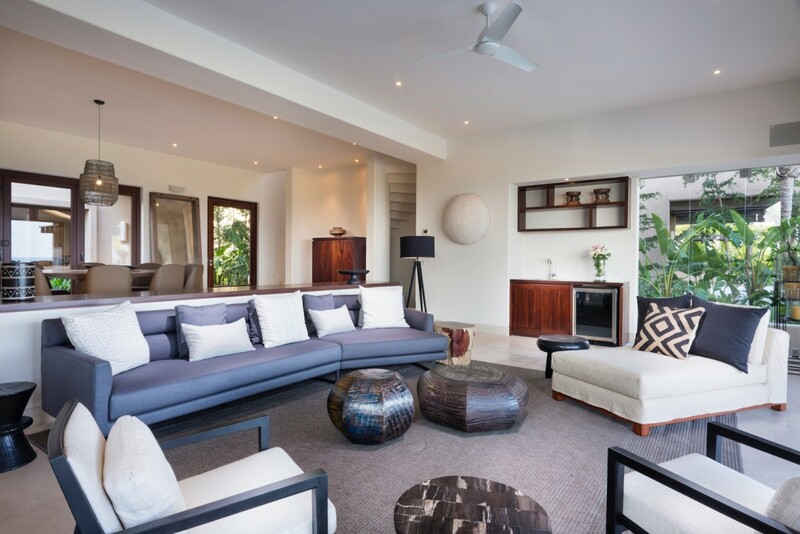 Located in the El Cantato area of Punta Mita, it is a five-bedroom property with an amazing amount to offer. 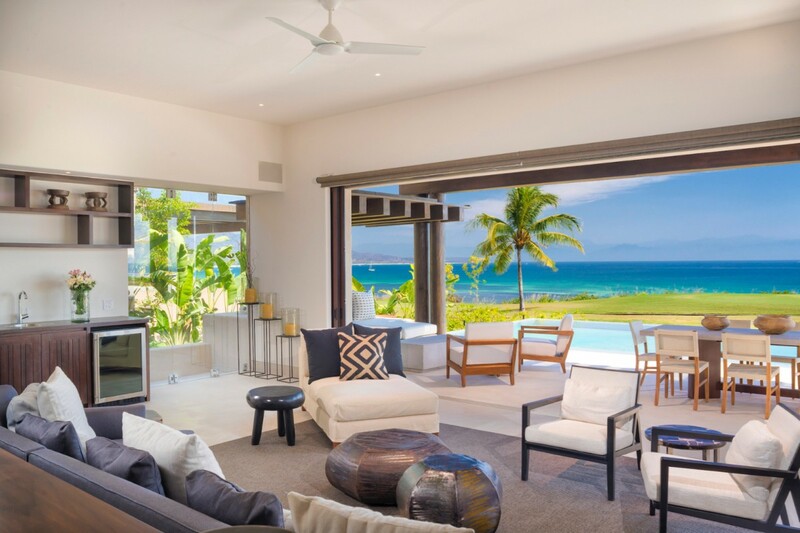 Not only is it so amenities-rich and stunningly scenic (gazing out over an unimpeded view of the landscape, beach and sea), but it could easily be a destination on its own. After all, visitors enjoy the attentive services of a cook, server and housekeeper throughout their stay, while also having full access to the nearby Four Seasons and St. Regis resorts. 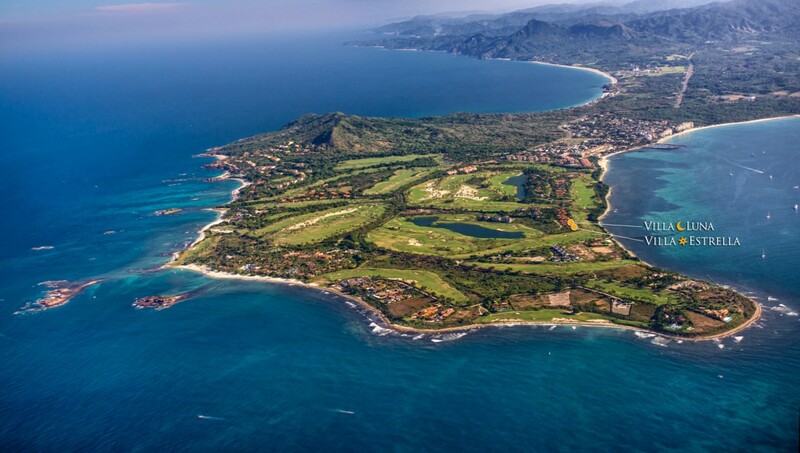 Play some rounds at the Jack Nicklaus designed course, savor meals at the four-star restaurants, take some time on the tennis courts or fitness center, get in some shopping or enjoy the comforts of the two private beach clubs. 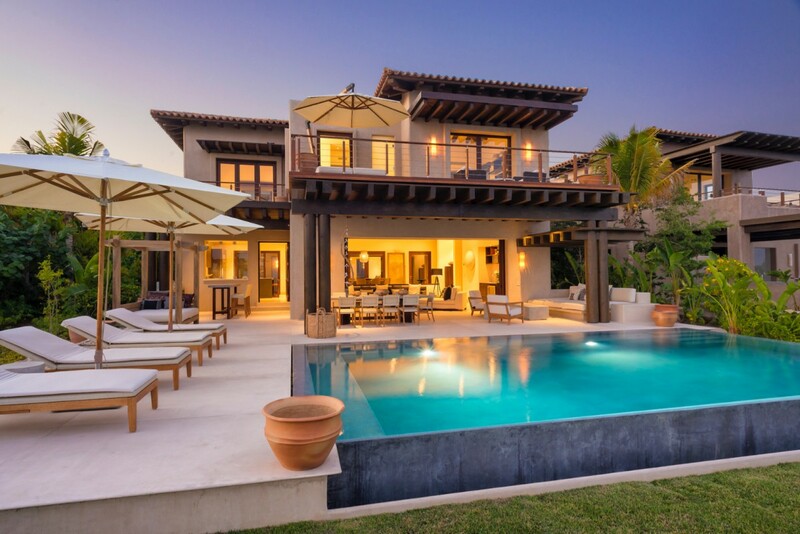 Of course, the multi-story villa itself has plenty to offer. 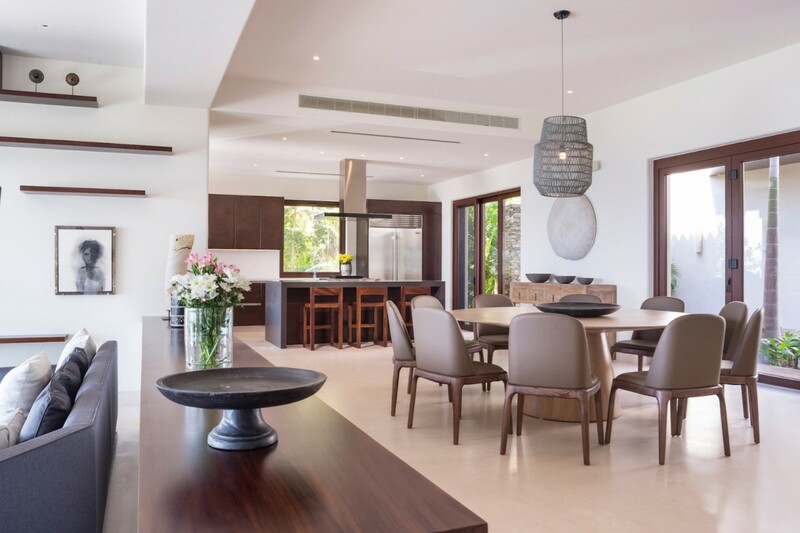 There is the expansive pool terrace with its array of luxuriously appointed interior and exterior spaces. 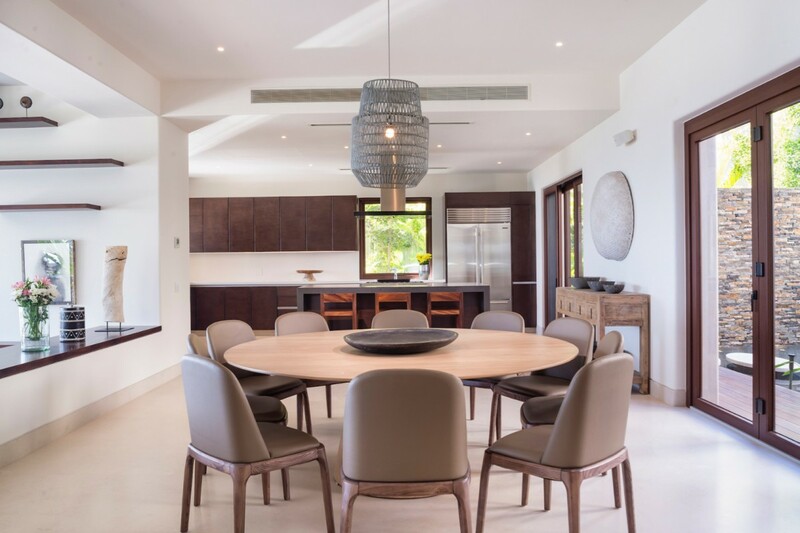 Set in a private garden, this pool area features a sun deck, pergrola with outdoor lounge and al fresco dining area, and a barbecue area with bar. Step through the oversized doors and you enter a stylish living room with a nautical and island theme. 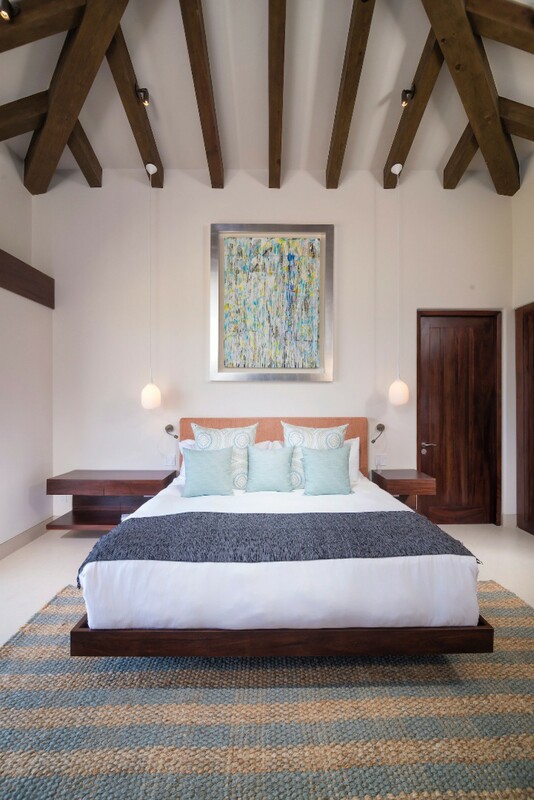 Mahogany furnishings, and a blue and white palette create a very serene setting. 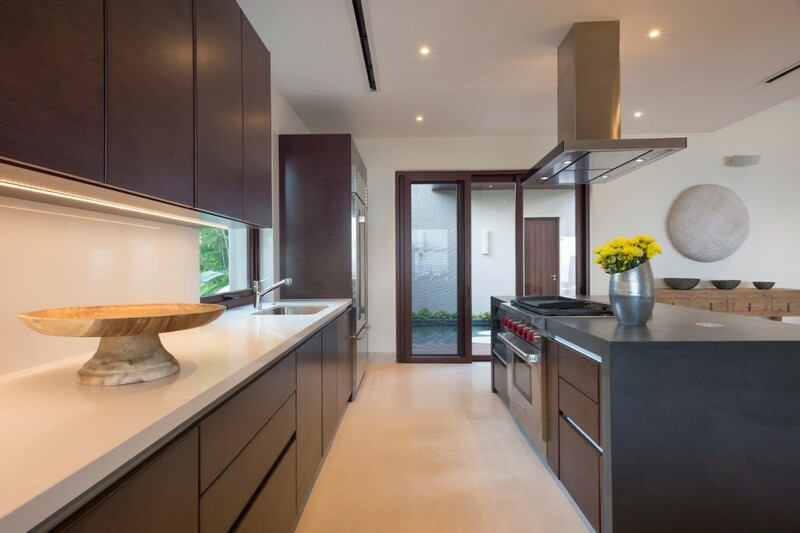 This opens into the dining suite which in turn leads to your complete, gourmet kitchen. 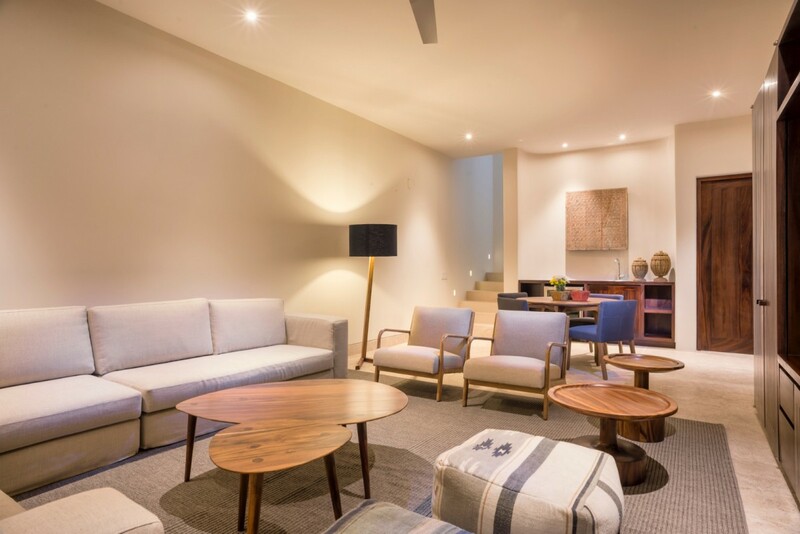 The five bedrooms are divided between three levels. Three are on the uppermost floor, including the master suite. All three are king suites and the master suite has a terrace. 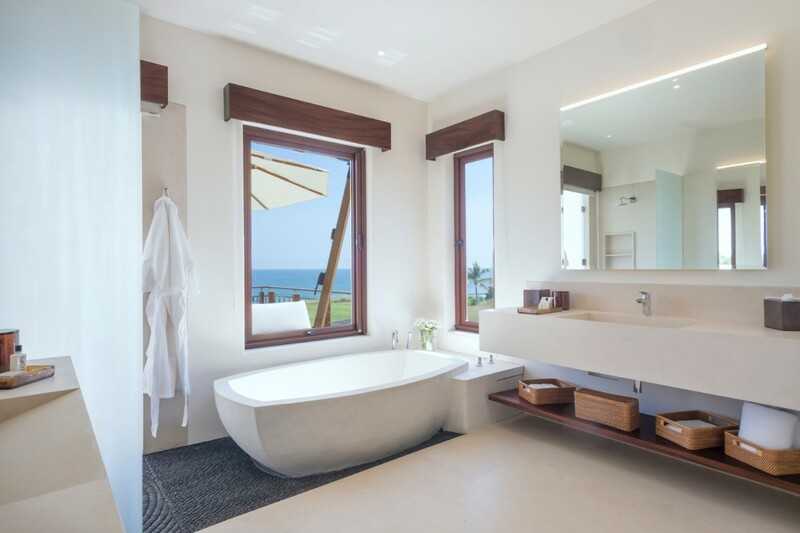 There is another suite with a smaller terrace and all have ocean views and ensuite baths. There is a king suite on the main floor, with bath and a lower level suite, too. 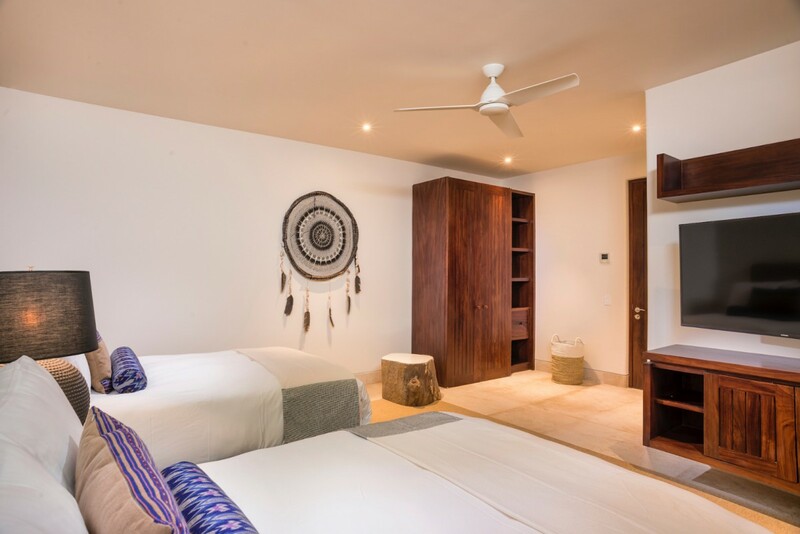 Ideal for a large group or a family holiday to Punta Mita, the Villa Luna awaits. 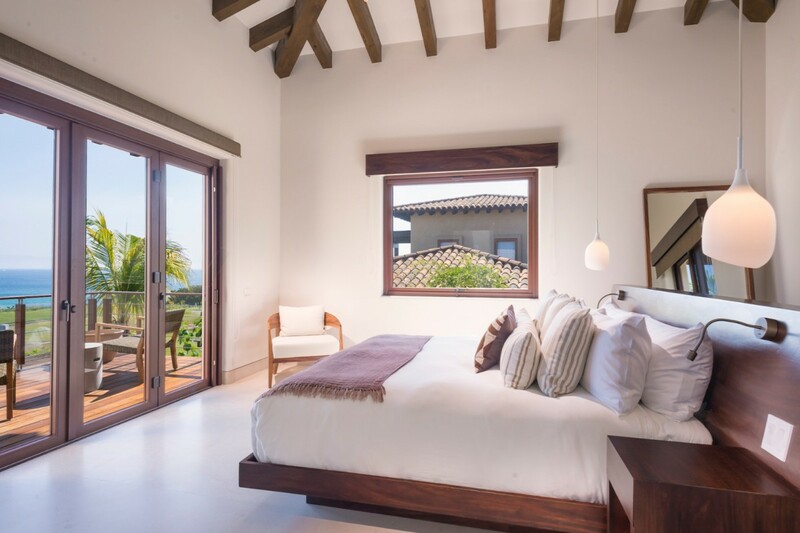 Bedroom 1: Upper floor Master bedroom with a king-size bed, A/C, TV, private terrace with ocean views and en-suite bathroom with bathtub, shower, double vanity and WC. 2 guests maximum. 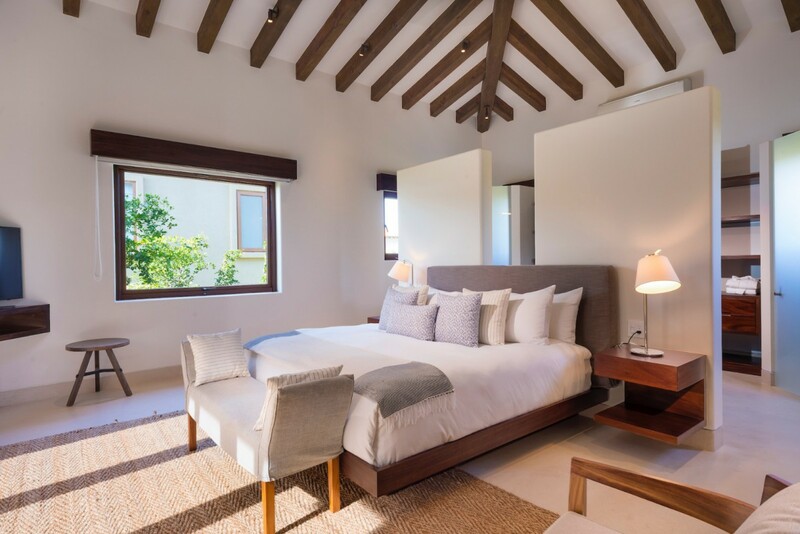 Bedroom 2: Upper floor bedroom with a king-size bed, A/C, TV, small terrace with ocean views and en-suite bathroom with shower, vanity and WC. 2 guests maximum. Bedroom 3: Upper floor bedroom with a king-size bed, A/C, TV, ocean views and en-suite bathroom with shower, vanity and WC. 2 guests maximum. 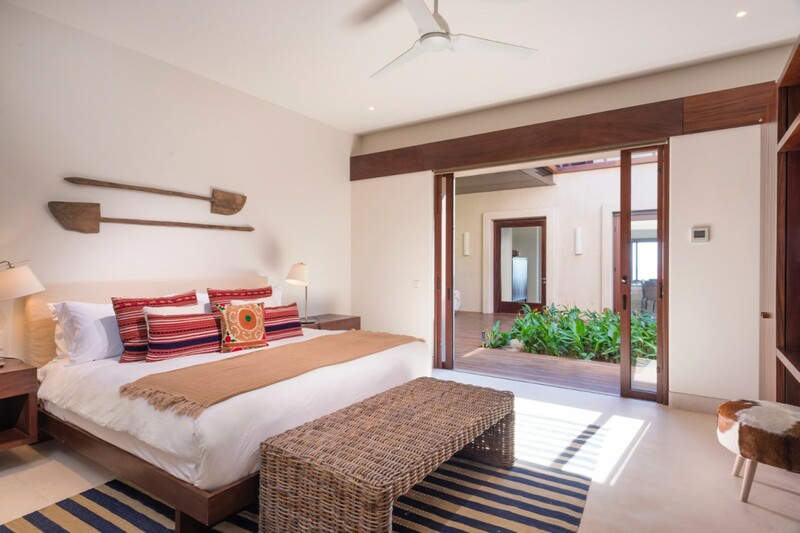 Bedroom 4: Main floor bedroom with a king-size bed, A/C, TV, ocean views and en-suite bathroom with shower, vanity and WC. 2 guests maximum. Bedroom 5: Lower floor bedroom with two queen-size beds, A/C, TV and shared bathroom with shower, vanity and WC. 2 guests maximum.